CV Performance Group tackled a double challenge last weekend with not one but two events in two separated countries. 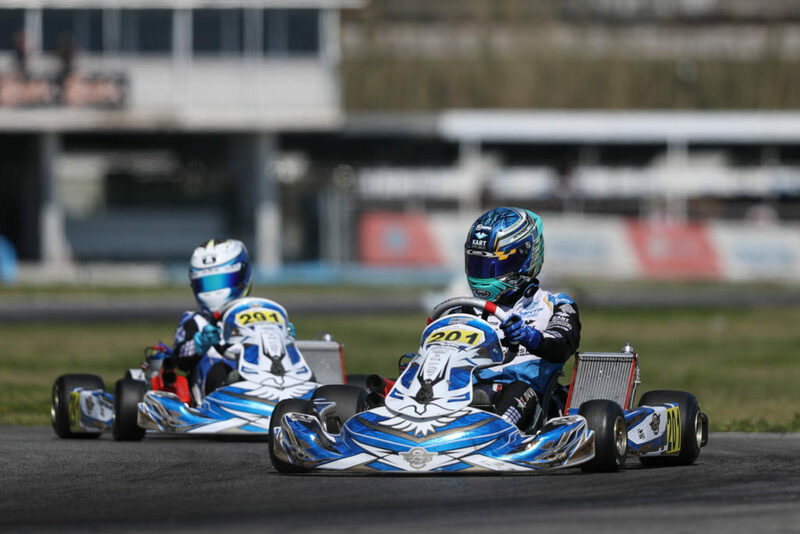 One took place in Belgium for the kick-off of the IAME X30 Euro Series by RGMMC on the Karting des Fagnes of Mariembourg, the other in southern Italy at the opening round of the WSK Euro Series on the Circuit International Napoli in Sarno. Two events and two different outcomes for the German karting team. Less than a week after the conclusion of the WSK Super Masters Series, the CV Performance Group team traveled back to Sarno to take part in the returning Euro Series, back on track for the first time since 2013. 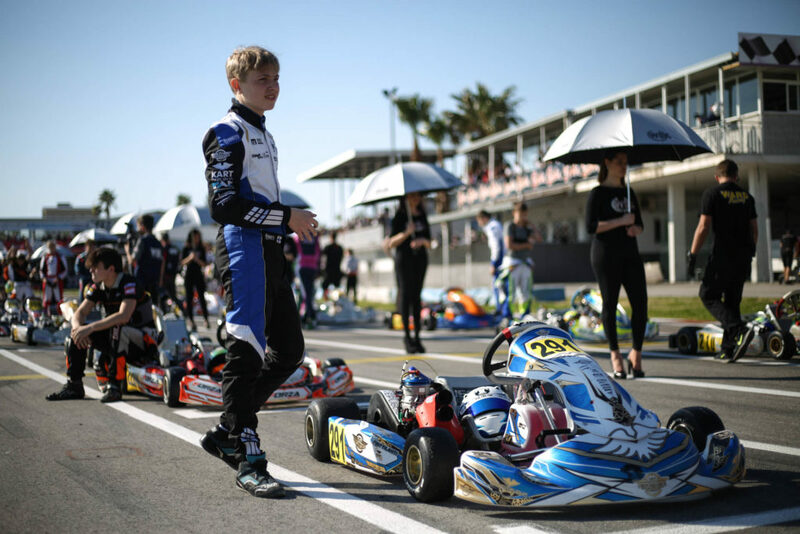 Three drivers, Nikolas Pirttilahti and Lorenzo Travisanutto in OK and Arthur Tohum in OK Junior hit the challenging Italian racetrack at the wheel of their Kart Republic chassis. The Finn provided the first surprise in the OK class setting the third fastest time in Qualifying, a bit more than one-tenth of a second faster than his teammate Travisanutto. With an eighth-best lap time, the Italian still kept a strong baseline to start with. In the Qualifying Heats, the tide began to turn as Travisanutto took a victory and fought his way to 4th in the provisional standings. Pirttilahti ran through some back luck to conclude his day down in 20th position. Performance Group (KART REPUBLIC/IAME/BRIDGESTONE), Sarno, 31 March 2019. WSK Euro Series, © 2019, Alexandros Vernardis / The RaceBox. In the final phase of the weekend, both drivers counted into the favorites thanks to a strong Prefinal that saw Travisanutto keep his fourth rank while Pirttilahti climbed up the order to 10th place. Once in the Final, the teammates both lived up to their expectations until shortly before the chequered flag when Travisanutto was caught up in a serious incident that saw him drop out of the race fortunately uninjured. 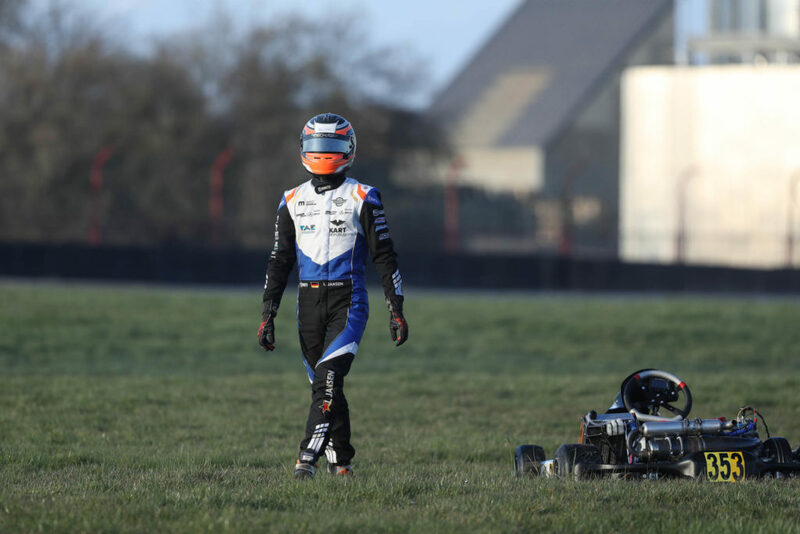 Lorenzo Travisanutto: “This was the most serious accident in my entire career. Fortunately, nothing happened and I am looking forward to the next race”. Pirttilahti, on his side, delivered a remarkable performance rewarded by the third step of the podium. 353, Jansen Linus (GER), CV Performance Group (KART REPUBLIC/IAME/MG), Mariembourg, 31 March 2019. IAME X30 Euro Series, © 2019, Alexandros Vernardis / The RaceBox. Up north in Belgium, the X30-elite gathered for the start of the IAME X30 Euro Series on the Karting des Fagnes International Raceway of Mariembourg. The German Linus Jansen and the Belgian Kobe Pauwels defended the CV Performance Group colors in the X30 Senior category. Unfortunately, both drivers faced a troublesome weekend concluded earlier than expected on Saturday night. This upcoming weekend, the German karting team heads for his next assignment with the first race of the ADAC Kart Masters taking place on the Prokart Raceland of Wackersdorf, in Germany.